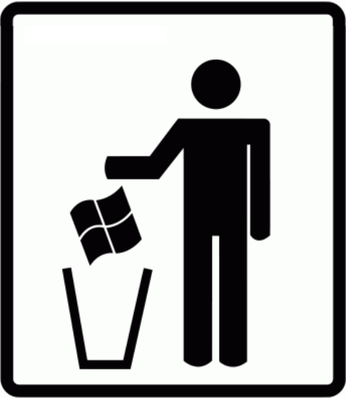 I don’t want to persuade anybody not to use Windows. If you need it, it’s fine, if you just want it, it’s fine as well. It just happens that I don’t want it. Thats not a new feeling, I would have deleted it many years ago. The only puzzle piece missing for me was gaming. I don’t need every triple A production out there, I just want to have some nice recreational time sitting in front of some interesting game. That’s what was missing on Linux for such a long time, and what has been brought to us now. I ran Windows twice in the last six months. Once to watch a picture our veterinarian had given us in a rather proprietary format and once to simulate a gamepad so I qualified for getting a beta Linux Steam Machine. So the decision to finally cut off Windows was not a tough one. I just needed one day to do it. Today is the last day of Windows XP security support. I found that to be a nice day for my plan. That’s slightly arbitrary, because the copy of Windows I deleted was a Vista installation, but then, it’s a special day regardless. Microsoft shows how people are forced to buy new software from them, while Linux can be updated for free literally for decades. I’m not planning to use Windows in a virtual machine and not even to use WINE. I want to say goodbye to it all. I’m not promising to never ever have Windows again, as that would include saying goodbye to most of the games in my shelves, but I don’t have any plans to do so. I’ll happily use the saved space on my second SSD drive for Linux data. Addendum: It’s actually Linux games data now. As said, I don’t want to persuade anyone. If you’ve heard that Linux is more complicated than Windows, that’s partly true. In parts, the opposite is true. If you need exotic hardware to be supported, Windows is the better bet. If you need to stick to your favorite application, chances are it doesn’t exist for Linux. But if you just want to do stuff with your computer and don’t care for the application’s name but for what it does, many, many things can be done with Linux. Everything I need for sure, and much more. If you’re Linux user as well, how about you? 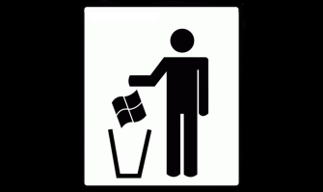 Did you leave Windows or do you intend to? What is or was your last piece of the puzzle missing on Linux?